Ludwigsburg/Germany, February 16, 2018. Spring is coming  bringing closer FMX 2018 and plenty of program confirmations. Today the first highlights from technology and games related tracks and presentations can be announced. Furthermore, animation icon Chris Wedge (Blue Sky Studios) just confirmed his participation in FMX 2018. Being an icon of the international animation industry, we are thrilled to have Chris Wedge (Blue Sky Studios) join the Then & Now track. The multi-talent has made his mark as a director, producer, animator, writer and actor over the past decades. He is one of the founders of Blue Sky Studios, receiving critical acclaim for his work as a pioneer in CG animation. In 1998, he won an Academy Award for the animated short film Bunny, and in 2002, introduced audiences to the beloved Ice Age franchise in the first installment, Ice Age. He also directed Robots and Epic and most recently the live action animation hybrid Monster Trucks for Paramount. 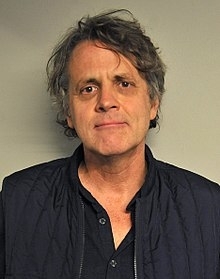 Wedge has also served as Executive Producer on four Ice Age films, Dr. Seuss Horton Hears a Who!, the Rio films and the recently released Ferdinand. Coming together for the Virtual Studios: Opening Doors track, curated and hosted by Kathleen Maher and Jon Peddie (both Jon Peddie Research), plenty of industry experts will illuminate the current state of digital production. Mathieu Mazzerole(Foundry), Mathieu Muller (Unity Technologies), Ton Roosendaal (Blender Foundation) and Hugo Guerra (fire without smoke) will discuss how the rise of virtual studios enables the production from independent houses and individuals. Teaming up for another fascinating presentation, Jean-Colas Prunier (FilmFlow), Ton Roosendaal (Blender Foundation), Hugo Guerra (fire without smoke) and Felix Mertikat (King Racoon Games) will elaborate on how industries are opening up to independents, small studios and outsiders thanks to new platforms for digital production and new tools for data exchange. The Games Visual Arts track, curated by Gaël Seydoux, Research & Innovation Director at Technicolor, will give the audience the opportunity to learn more about the latest designs and developments of some of the most striking and immersive game experiences on the market. Jean Guesdon (Ubisoft), Creative Director of Assassin’s Creed Origins, will talk about the action-adventure game, giving an overview of the process and challenges that awaited the team when creating a living and breathing world full of people and narratives. Moreover, Forza Motorsport 7 Art Director Scott Lee (Turn 10) will give an in-depth presentation on the latest installment of the racing game series. This year Mackevision is back on board as FMX Main Partner. Moreover, the FMX Forum is filling up quickly. DynamiXYZ andRokoko will welcome the visitors at the Marketplace, while Allegorithmic and Xsens will be joining FMX with workshops and a booth at the Marketplace. Furthermore, Binary Alchemy and Chaos Group will host some workshops as well. Animal Logic,Axis Production, Illumination Mac Guff, and Pixomondo just joined the group of exhibitors at the Recruiting Hub. Further participants at the School Campus will be Darmstadt University of Applied Sciences, Mediadesign Hochschule, Plymouth College, and the University of South Wales. Tickets for the FMX 2018 are available in the online ticket shop at www.fmx.de (Early Bird rates until March 15, 2018).